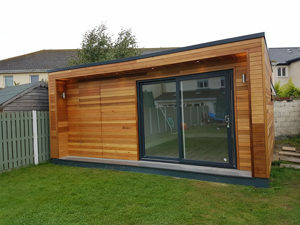 At Rooms Outside we provide stunning, contemporary garden rooms.Offering premium quality, without the hefty price tag. 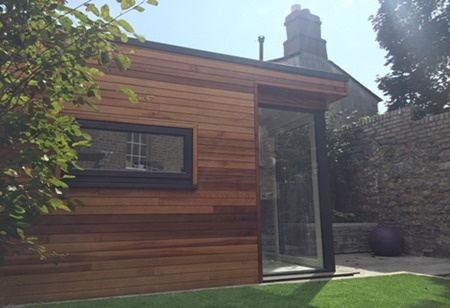 All our studios are made to order, so we maintain maximum flexibility in terms of creating a design that suits our client’s needs and budget. 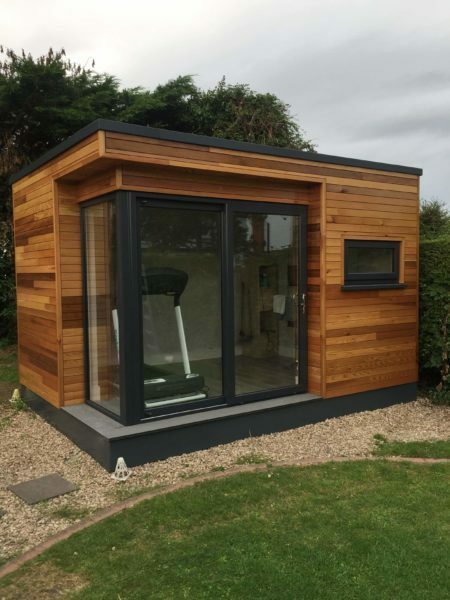 Music room, studio, sanctuary, gym, games room, playroom, annexe – or just somewhere to relax and enjoy your garden. Serve many purposes. 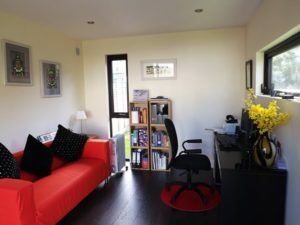 We work to achieve the ideal room for you by working from the start to establish your individual desires. Roomsoutside has partnered with Permanent TSB bank at Liffey valley who are offering a range of financial packages. 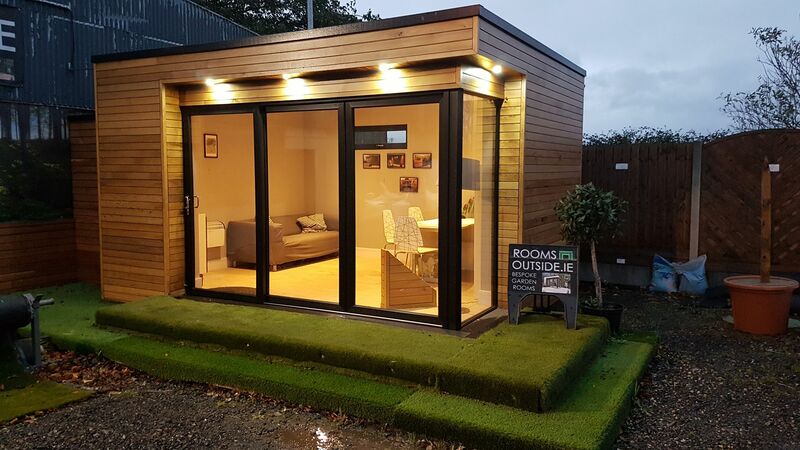 Transform your Garden with Rooms Outside !! 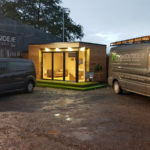 We here at Rooms Outside have 15 years experience in the construction of garden studios. We can deliver your heart’s desire. 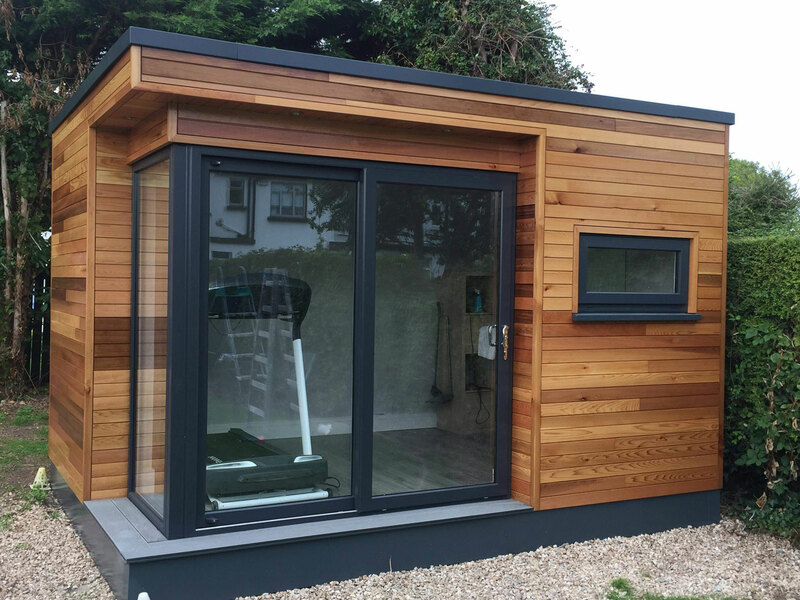 We build all our garden rooms ourselves from scratch. As a result you can have any shape, size or configuration you want. From first contact we were very happy with rooms outside. I found Martin, Patrick and Derek to be very pleasant and professional from the outset. They made a fantastic job of the room outside. I plan to use it as a home office/gym. It fits beautifully into the garden and enhances our outdoor space. I would have no hesitation in recommending them. Got our room done in October 2018 and from start to finish Martin , Patrick, and the team were so professional. We live in a terrace house so everything had to come through the house. They were so clean and minimal distruption to us and our kids. We could not be happier with our room outside. We highly recommend this company. Alan & Leona. I am just so impressed and could not be more happy with the result from the Rooms Outside. From the first contact with Matin and Patrick to the last day of the build every single team member was super friendly and helpful. The guys working on the site were all very professional and knew exactly what needed to be done. I am really pleased and absolutely delighted with the result. 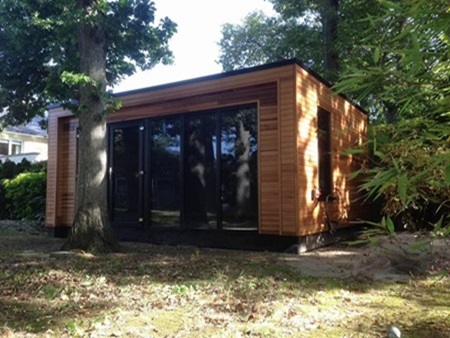 I enjoy every day in the new art studio, so I highly recommend Rooms Outside. Patrick, Martin and all the lads were brilliant to work with. 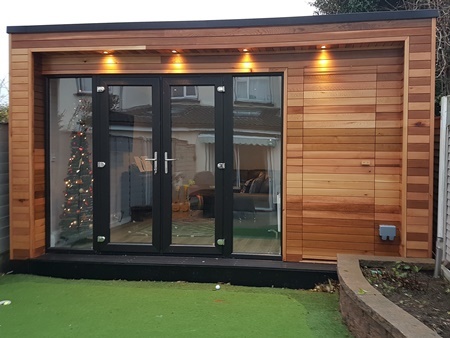 We are really happy with our finished garden room and storage area, we were particularly impressed with the changes and additions suggested by Patrick. Very professional company who we would highly recommend. 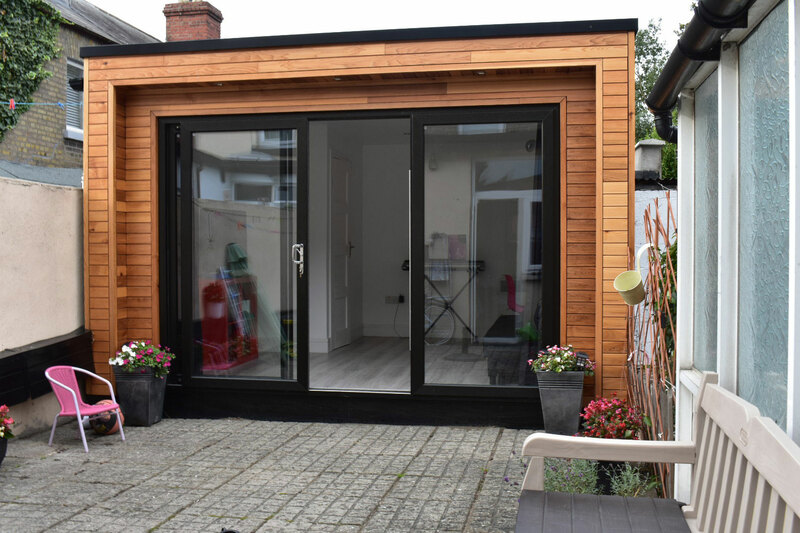 They're brilliant, professional and quick, have them to build in a narrow space and they were great, highly recommended and reasonably priced. I’m really delighted with my new music room. The guys at Rooms Outside were helpful and professional. I told them exactly what I needed and they delivered everything. The whole process was made very easy as the guys have great communication skills. This was important to us because of my irregular work hours. Highly recommend!! 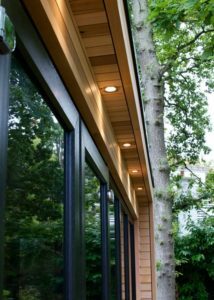 Great workmanship, beautiful finish admired by all. 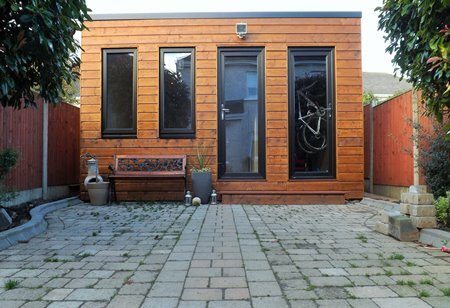 A super insulated home office plus garden storage combined in one structure. Now we have an addition to our house that adds space and value. Great guys to work with, they listened to our needs and produced a gem at the right price. 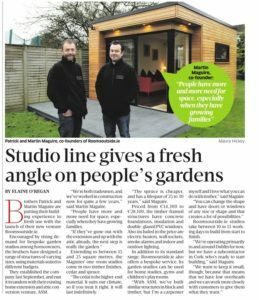 We worked with Martin and Patrick on creating a work space in the garden to create a mental divide between home and work life since both myself and my wife get the option to work from home. 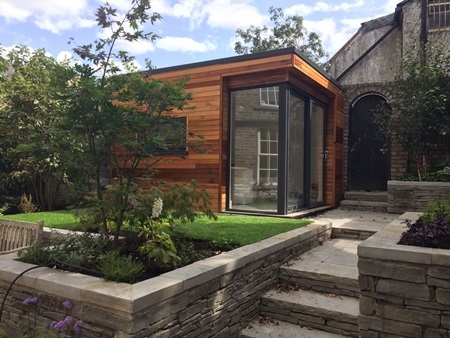 From first meeting to final delivery the team were always helpful, dependable and insightful in informing all aspects of the build. 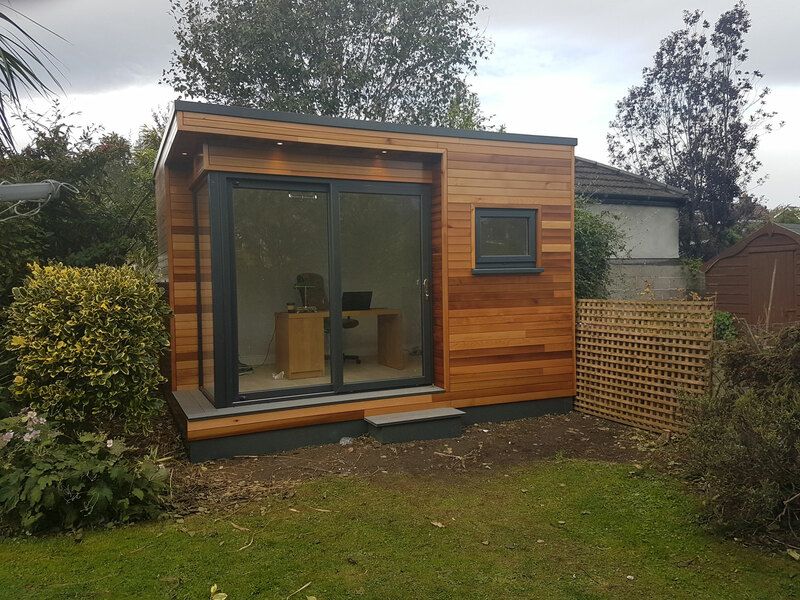 We're delighted with the finished office, which is as warm and secure as any room in our house and looks beautiful in our city garden. The fact the morning commute is now 15 steps - we couldn't ask for any more. Want our team to check your Garden? excellent service and product quality workmanship.